Happy new years fellow investors. A few days ago marked the beginning of 2017. I took a few days to look over what happened in 2016 and how I did. This post will summarize what my results were and what my future plans for 2017 are. The S&P500 surprisingly rallied very hard towards the end of the year. This year we had a lot of action from the crash in oil prices to Brexit to Trump becoming the president elect. After the Brexit event, markets took a tumble as seen in the notch around the end of June 2016. The markets however quickly recovered to new highs. After the Trump victory, world markets including the US took a nose dive. However that dip was short lived, similar to Brexit and the market continued to make new highs. After Trump got elected, the dollar climbed to new highs. Interest rates rose. The Federal Reserve raised rates in December and suggested more to come in 2017. All in all, a lot of action. Below are graphs of several indices. What all these events indicate is that one needs to stay the course and tune out the noise. If one sold on the lows after Brexit fears or Trump fears, then one would have missed on a lot of potential gains (plus dividends). It's all about the dividend and dividend safety. As long as the payout can be maintained, one should be worried more about how that dividend can increase in the future. Daily market price fluctuations should be tuned out. At the end of the day, companies that can generate cash to pay dividend checks and have the earnings growth to increase such dividends year after year will experience increases in share price. One must be patient as the increase in dividends are not normally instantly followed by an increase in share price. However, in the long run investors will eventually push the price up of companies that steadily maintain and increase their payouts with good financial credit ratings to back the dividend up. December 2016 was a good quarter for dividends. 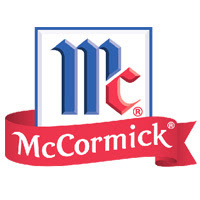 There are a lot of companies that I hold that pay in December. I got $588 this month across my 3 accounts. Top payers are Johnson & Johnson, Home Depot, Kraft Heinz, Coca Cola, and Dominion Resources. I reinvested all my dividends this month. Slowly but steadily the dividends are increasing. 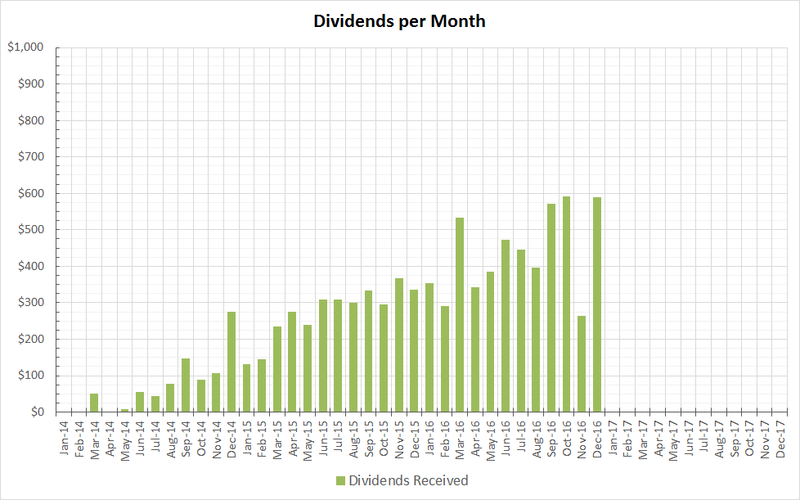 12 months ago, I was only able to receive $335 in dividends for December 2015. For the new year of 2017, I am expecting my dividend accumulation to stay relatively flat because most of my cash is going towards a down payment. I need a place to live with a constant living cost since my rent keeps increasing, so I'm deciding to take a year to stabilize my housing which will momentarily hurt my dividend growth. That down payment cash will sit in a savings account earning a measly 1.05% yield. The only cash I will be investing in will be in my 401k retirement account which will be roughly around $2700 every 2 months. Nevertheless, I predict that each of my holdings will increasing their dividends by some amount in 2017, and I hope to average 8% dividend increases across my entire portfolio.